Uptown Sound is an award-winning, Dallas / Fort Worth wedding and event company, providing a wide variety of DJ, lighting, and videography packages, as well as an open concept photo booth. We know how important your special day is, and we pride ourselves on getting to know you and on personalizing the experience to fit your style. Working with Aaron from Uptown Sound was one of the best decisions I could have made to ensure the flow of my reception was flawless. I never had to worry about when to cut the cake or throw the bouquet, because Aaron had it under control. 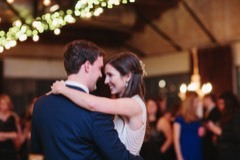 Not only was he a wonderful DJ and picked wonderful, fun songs, he also served as an MC to welcome Ryan and I in, invite my Dad to make a toast, and direct the crowd's attention for things like first dance and cake cutting. I loved working with Aaron, and I would encourage anyone to contact him!! 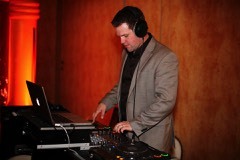 Uptown Sound provides professional DJ services for wedding receptions and ceremonies, as well as corporate and private events. 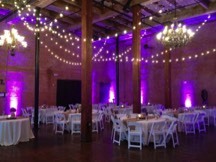 We offer a variety of wedding and event lighting including uplighting, centerpiece pinspotting, custom monograms, and string lighting. Allow Uptown Sound to capture your special day and create a high definition film to share with friends and family. Photo booths are always a big hit at weddings and events. 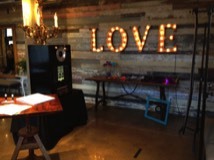 Uptown Sound has a modern, open concept photo booth, allowing as many as 10 guests to be in the picture.